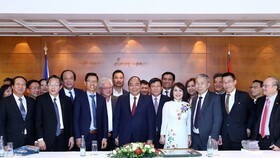 President Tran Dai Quang on August 7 hosted separate receptions for the new ambassadors from Chile, the United Kingdom (UK) of Great Britain and Northern Ireland, Poland, Gambia, Uganda, Nepal, Jamaica, Guatemala and Botswana as they came to present their credentials to the State leader. During the meetings, President Quang affirmed that Vietnam wants to strengthen and further develop the relations and cooperation with all the countries across all fields. 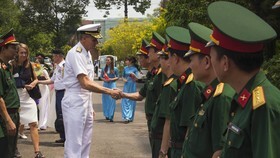 Vietnam’s authorities will work closely with, and create favourable conditions for the ambassadors to complete their tasks, contributing to expanding the fruitful relations between Vietnam and the nations. In the meeting with Chilean Ambassador Jaime Chomali Garib, President Quang said Chile is one of the most important partners of Vietnam in Latin America, adding that Vietnam looks forward to continuing to step up the comprehensive partnership between the two countries. He thanked Chile for supporting Vietnam’s candidacy for a non-permanent seat at the United Nation Security Council for the 2020-2021 tenure. Vietnam will closely coordinate with Chile to successfully organise the Asia-Pacific Economic Cooperation (APEC) forum in 2019, he affirmed. Talking with Ambassador of the UK of Great Britain and Northern Ireland Gareth Ward on measures to boost the economic ties between the two countries, President Quang asked the diplomat to encourage UK businesses to boost investment and business in Vietnam. 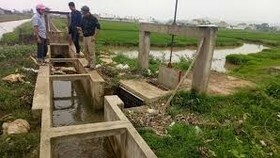 He also called on the UK to help Vietnam access capital sources from the UK’s wealth fund, especially in Vietnam’s priority fields such as business environment improvement, climate change adaptation and infrastructure development. The President also asked the UK to support Vietnam in enhancing relations with the European Union (EU), and to call on the EU to sign and ratify the Vietnam-EU Free Trade Agreement (EVFTA) in 2018. 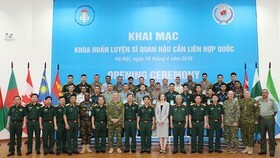 Vietnam hopes to bolster cooperation with the UK in education and training, he said, asking the European country to support Vietnam in training in law, finance-banking, insurance, hi-technology. 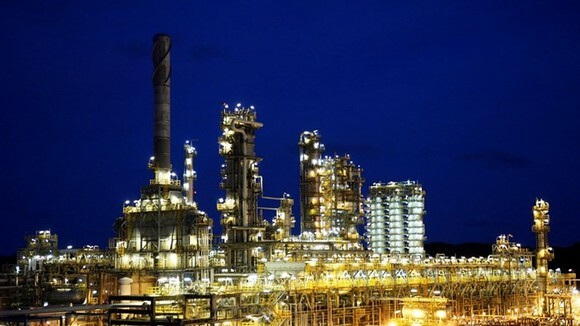 Cultural and sport exchanges should be prompted between Vietnam and the UK, towards strengthening their friendship and mutual understanding, the Vietnamese leader stressed. At the meeting with Polish Ambassador Wojciech Gerwel, President Quang noted with pleasure the significant progress made in economic ties between Vietnam and Poland over the past time, affirming that Poland is Vietnam’s largest trade partner in the Central Eastern Europe. The leader also applauded achievements in bilateral cooperation in culture and education-training, and expressed his hope that the two sides will step up their collaboration in this field on the basis of the agreement on educational cooperation signed in 2017. 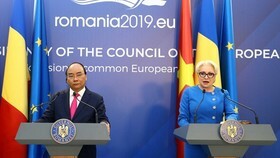 He thanked Poland for its support for Vietnam’s bid to run for a non-permanent seat at the UN Security Council for the 2020-2021 term, and called on Poland to continue backing the Vietnam-EU partnership and comprehensive cooperation, including the signing and ratification of the EU-Vietnam Free Trade Agreement in 2018. Receiving Gambian Ambassador RamziaDiab Ghanim, President Quang said Vietnam always attaches importance to cooperation with traditional African friends, including Gambia. However, the bilateral collaboration has yet to match potential of the two countries, he noted, urging both sides to intensify the visits by delegations and boost people-to-people exchanges in order to increase mutual understanding. 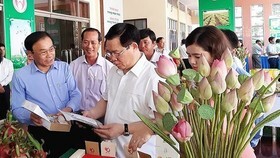 Vietnam and Gambia should sign important legal documents to create a framework for bilateral cooperation in specific realms, while boosting their affiliation in the spheres in which the two countries have advantages such as agriculture, maritime economy and tourism, President Quang said. At the reception for Uganda Ambassador Dorothy Samali Hyuha, the leader suggested Vietnam and Uganda strengthen their economic ties, expressing his hope that the diplomat will promote the African nation’s trade and investment potential in Vietnam. Vietnam stands ready to share experience and partner with Uganda in agriculture, fishery, garment-textile and construction, he said. Meeting Nepali Ambassador KhagaNath Adhikari, President Quang called on the diplomat to contribute to boosting delegation exchanges between the two countries via the Party, State and National Assembly channels, as well as exchanges between their residents and businesses. While receiving Jamaican Ambassador Antonia Hugh, the President said Vietnam wishes to reinforce cooperation with Jamaica by increasing delegation exchanges and creating favourable conditions for enterprises of both sides to study the respective markets and seek business opportunities. Sharing with Guatemalan Ambassador Herbert Estuardo Meneses Coronado about positive development in the bilateral relations, especially in economy and trade, President Quang said there is a large room for Vietnam and Guatemala to boost cooperation in agriculture, industry, science technology and services. 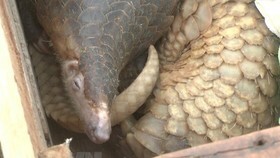 He suggested the two sides organise meetings for businesses to explore investment opportunities in the respective markets, as well as promote negotiations to sign cooperation agreements, particularly in the fields of economy, trade, science and technology, and create a favourable legal framework for the long-term cooperation development. Welcoming Botswana Ambassador Mothusi Bruce Rabasha Palai, President Quang affirmed Vietnam always attaches importance to relations with African countries, including Botswana, adding that Vietnam hopes to enhance cooperation with Botswana for the benefits of the two peoples. He recommended the two countries strengthen delegation and people-to-people exchanges for better mutual understanding and soon sign a cooperation framework agreement on economy, culture, education, information technology. The President urged the two sides to boost collaboration in the fields of their strength such as agriculture, tourism, and information technology. He said Vietnam welcomes the Botswana President to pay an official visit to Vietnam on the occasion of the 10th anniversary of the bilateral diplomatic ties in 2019. 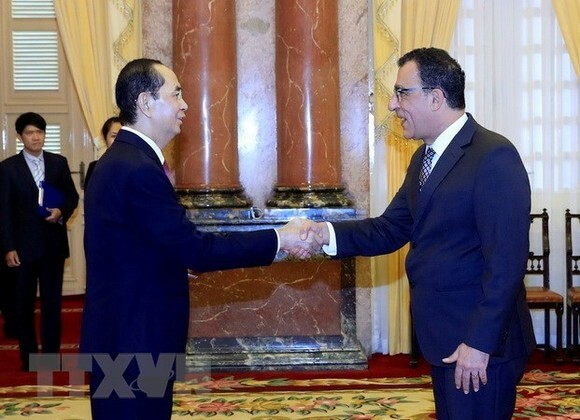 The ambassadors expressed their pleasure at the growing friendship and cooperation between their countries and Vietnam over the past time and wished the Vietnamese State and people would gain more achievements in the coming time. They pledged to spare no efforts to beef up the cooperative ties with Vietnam in economy, trade, investment, tourism and education.